The tricky part about designing outdoor furniture is balancing out all the required features. A well designed piece of furniture must be a perfect blend of sturdiness, style, comfort, and durability. If you put too much emphasis on one aspect it will compromise another. 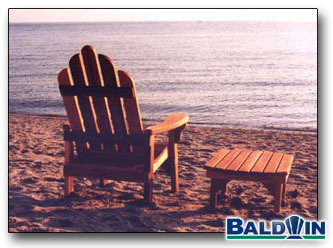 All of the furniture made at Baldwin Furniture has been scrutinized to the tinniest detail.